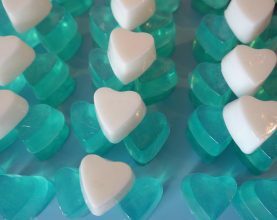 Our soapcraft for adults workshops are two hour sessions including light refreshments. 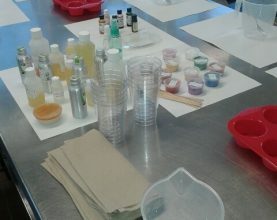 Hands-on fun in small groups combining colours and fragrances to create your own unique soaps. 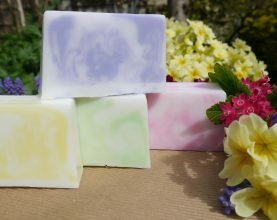 A family run business based in the village of Bare in Lancashire, all our soaps are crafted by hand using only the highest quality ingredients. Made from a gentle vegetable glycerine base, our soaps range from subtle pastle shades and floral scents to bold colours and exotic fragrances. 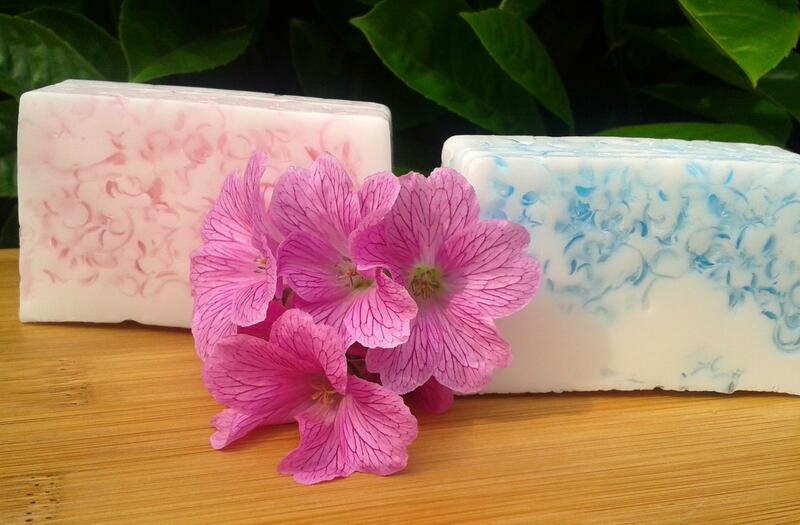 We use natural essential oils and fragrance oils blended with mineral and water based colourants to create our unique designs which are individually hand wrapped using plain and simple packaging. 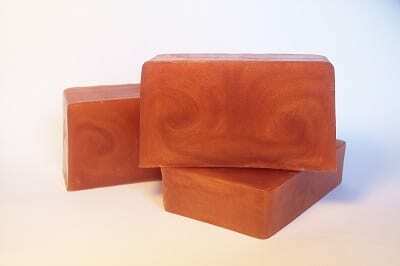 Bare Village Soaps are gentle, highly moisturising and particularly good for dry or sensitive skin conditions. 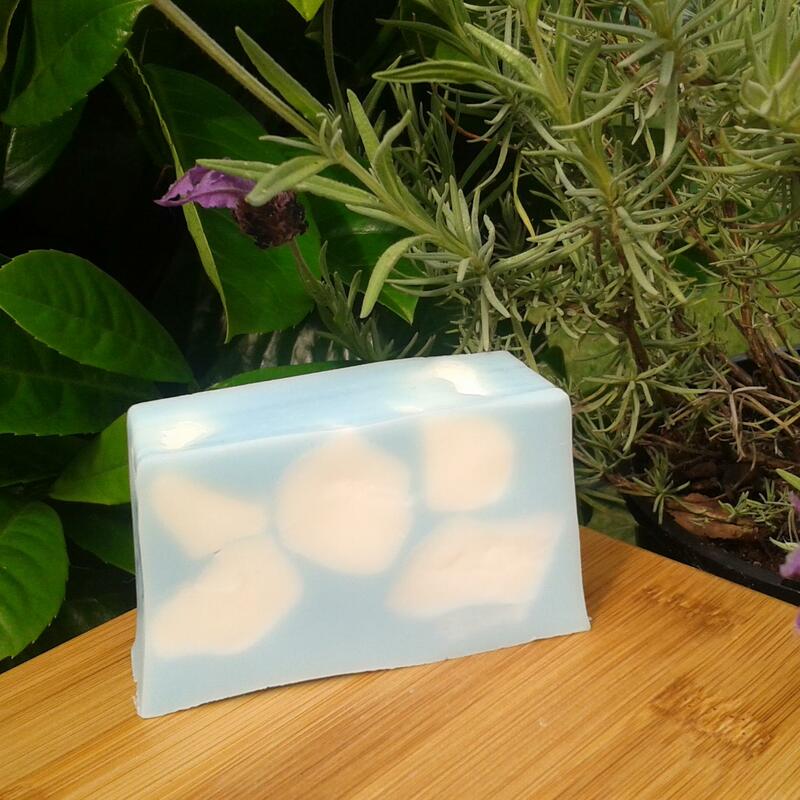 None of our ingredients have been tested on animals and we do not use any Sodium Lauryl Sulphate (a detergent which can cause skin sensitivity). 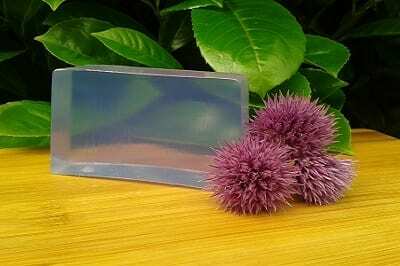 Our products meet all safety and legal registration requirements and we are a member of the UK Guild of Craft Soap and Toiletry Makers. Perfect for adding a touch of originality and luxury to your own home, we also offer gift wrapping, local delivery service and exclusive design and presentation options for special occasions such as weddings. 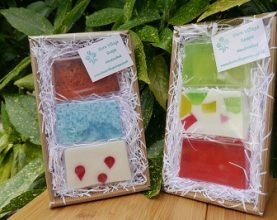 Our growing range of creative design and fragrance blends includes handcut soap slices, moulded soaps and seasonal special editions.